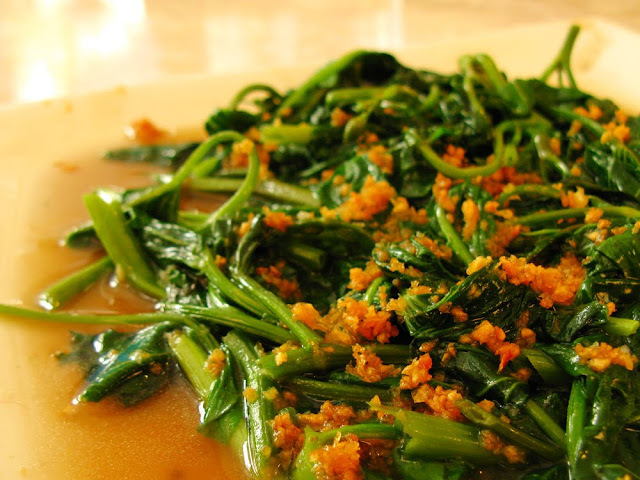 Adobong Kangkong is a simple vegetable dish that is considered a staple in many Filipino homes. River Spinach (kangkong) is abundant in many parts of the Philippines. Although the preparation for this dish is very simple, it is recommended to exert some time and effort in cleaning the vegetable. Since Kangkong easily grows and multiplies in watery areas, we never know how clean (or dirty) they are when sold in the market. 2 When golden brown, add all other ingredients. 3 Cover and simmer until done. Don’t overcook the kangkong. Serve hot!